Fitness Makeover- Better Body, Better Mind! – Get in shape, stay in shape, increase confidence, be strong and powerful! Get in shape, stay in shape! Stay motivated with updates, tips, videos, podcasts, and workouts that work! Programs that get proven results and keep you motivated! Choose your plan and get your best body ever! 1 on 1 Coaching and Personalized Custom Programs created for your schedule, specific goals and fitness level. Weight Loss and Sculpt, Mindset and Nutrition plans. Download MP3 and Video workouts right to your Phone, iPod or other media player. Your trainer & motivating music push you through each workout. Cardio, Weights & more! Four new video workouts each month! Convenient, fast, easy way to get in shape at home! Weekly Trainer Chat, Menu Plans, Recipes, Motivation. Printable workouts for gym or home. Access new routines every 2 weeks, with video instructions. Fitness Tools, Guides and more. Get in Shape! Stay in Shape! “I started working with Kira and following her Fitness Makeover Program and dropped 4 inches the first week! 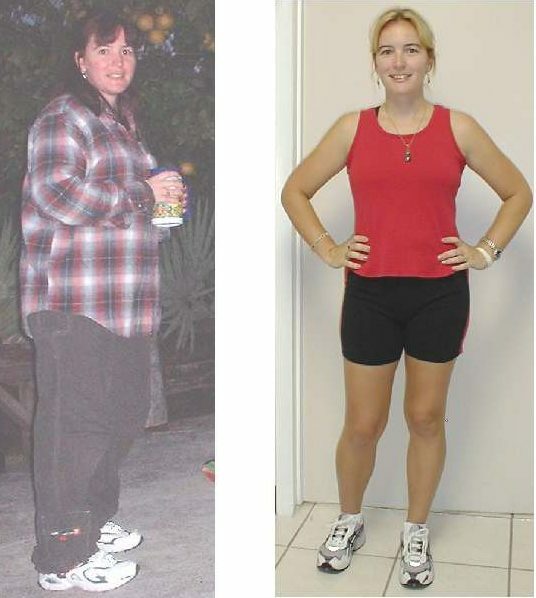 “I went from a size 18 to a size 6 with the Fitness Makeover Plan! It seemed too easy at the start, but my weight kept dropping! “I exercised a lot, but didn’t see any big changes. I did step classes, tone classes but nothing seemed to work. I met with Kira and she explained why weight training was what I needed to win the weight loss battle! Training, nutrition and motivation tips! Build confidence, self-value and self-esteem to be the best you! Topics include body image, social media, anti-bully and self-value. I've been able to help thousands of clients, online and in person, get in shape and stay in shape! There’s no magic pills to take, no pre-packaged meals to buy, and no crazy exercises to do! Just sensible workout plans. and healthy eating. I’ve been a fitness trainer for almost 30 years, I've been sharing what works and what is a waste of time on the (free) Podcast: Fit Girl: Your Guide to getting in Shape for the past ten years. If you're ready to see your body change and your confidence soar, then check out my programs! I know private training can be expensive, so I've created various programs to help you get in shape and stay in shape. (Some are free too!) No excuses! Get started now!